Serving the Chicagoland suburbs for over 40 years, the snow removal team at Doering Landscape has provided competitive pricing with unmatched attention to detail. 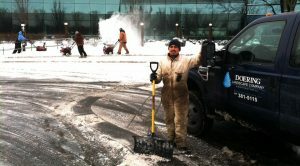 We offer snow removal and salting services to commercial and residential clients. 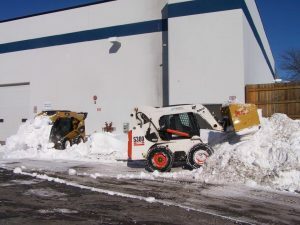 Our well maintained fleet of snow plowing trucks, bobcats, and salting vehicles provides the foundation for our quality snow removal services. With 24/7 weather monitoring and vehicle-equipped GPS, you are assured that the experienced snow removal team at Doering Landscape will deliver reliable service in any winter weather event.